Why is Alexander Downer so obsessed with the People’s Choice Awards? The far-right show must go on, the Oz finally finds what they're looking for, and is there trouble at the Victorian State Revenue Office? The Australian right's "law and order" rhetoric combined with the left's oversimplification and focus on state power are combining to bear down on black and Indigenous communities. The laughable assertion that Victorians were "too scared" to go to restaurants due to apparent out-of-control youth gangs hides a deeper ignorance in the debate around justice, incarceration and mental health. Want to avoid scandals? Reform your damn MP entitlements schemes. The Victorian government is moving to reform transparency surrounding MP allowances in an effort to stave off any more embarrassing scandals. But is it just a de-fanged rehash of federal rules? 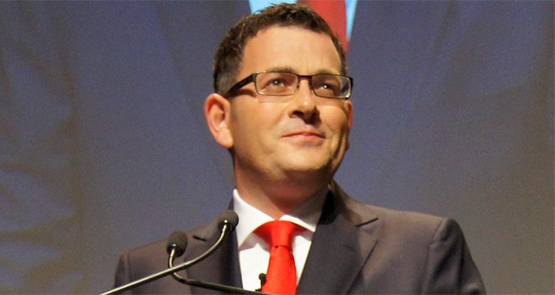 Will the Greens nab another inner-city Melbourne seat from the Labor party? Should experts commenting on euthanasia laws have to disclose their religious ties? At what point, if any, does religious conviction corrupt expert opinion? People opposed to euthanasia are not the "emotional" ones. And, for the moment, it is impossible to justify voluntary assisted dying from a left perspective. Steve Herbert is probably on his way to the backbench because he used his taxpayer-funded driver to chauffeur around his pet dogs. Here are other pollies laid low by the most chickenshit of rorts. For Pete’s sake, can’t we talk about infrastructure without playing politics? Infrastructure Victoria's draft 30-year strategy was only public for a few hours before politicians started putting the presumptuous upstart back in its box.